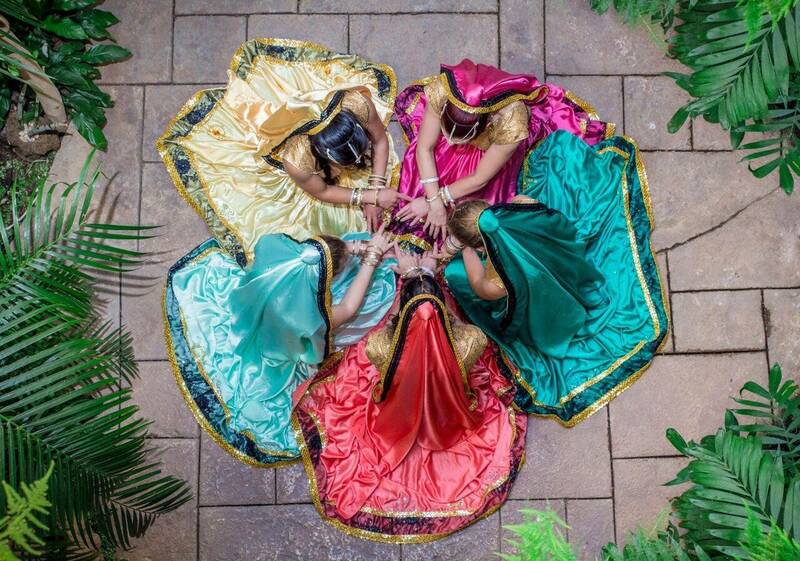 With stunning costumes, catchy music and dynamic choreography our shows will transport you to the set of a Bollywood movie. 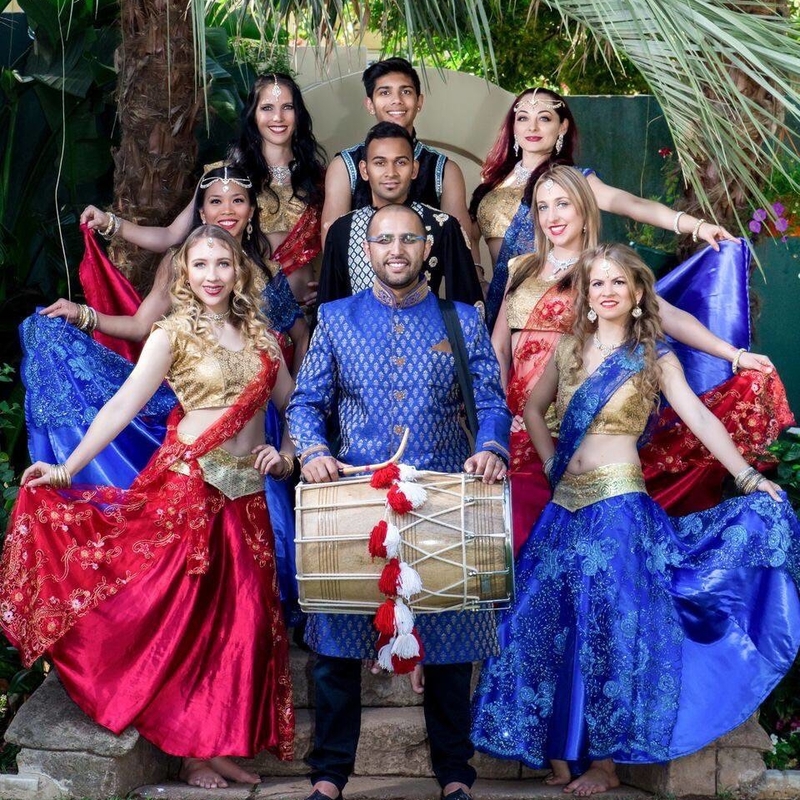 Our full entertainment packages include Indian traditional musicians, Henna Artists, Bollywood Singers, Bands as well as breathtaking Bollywood themed aerial acts!Since launching our International Bollywood dance group in South Africa 7 years ago we’ve been featured on Sizzle, Mela, East N Style, MTV Africa and performed live on SABC shows and eTV. 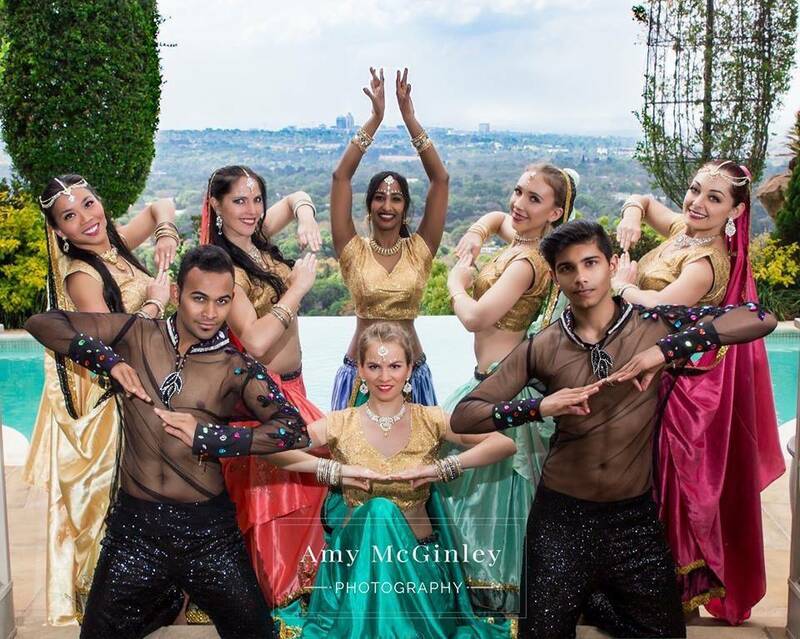 We’ve performed all over Africa for upmarket weddings, corporate launches and festivals. 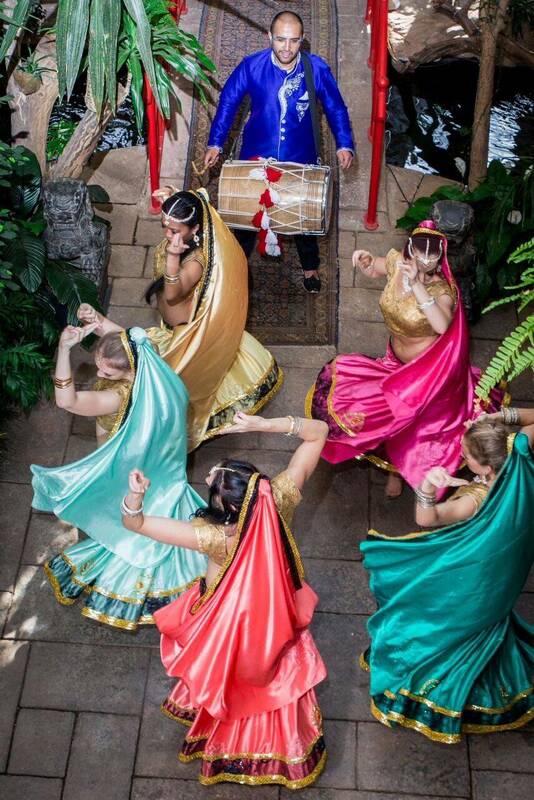 A popular option is to add our live Dhol Drummer who performs with the dancers and adds an exciting element to the show! 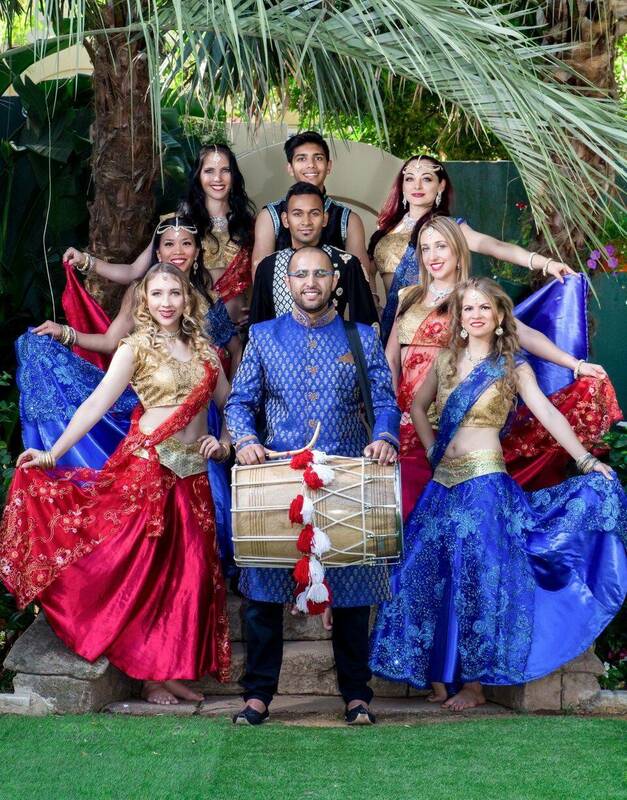 We can also include audience participation teaching everyone a fun and easy Bollywood line dance so everyone can get in on the fun.